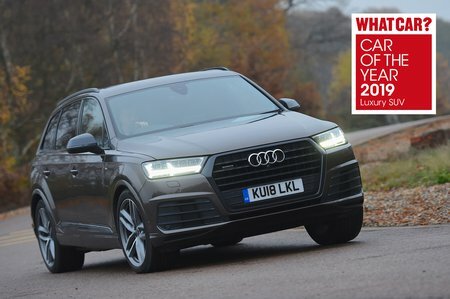 Audi Q7 Black Edition Review and Deals 2019 | What Car? Based on S line trim but adds various styling cues, bigger alloys, Virtual Cockpit, a reversing camera and a panoramic roof. You also get sports air suspension as standard, although we have yet to try this.